Porter Wright announces its revamped and refreshed Technology Law Source blog, designed to improve reader experience and present the latest information about topics in the realm of intellectual property, technology, information management, privacy and data security. Blog posts cover traditional concepts and protection of intellectual property through patents, trade secrets, trademarks and copyright, as well as the way these concepts and data management are affected by rapidly moving technology and internet based systems used by businesses today. 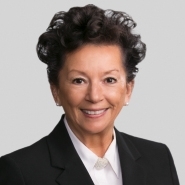 “This blog serves as a resource for anyone who wants to protect intellectual property, ensure compliance with privacy and data security regulations or navigate the electronic landscape, both in the U.S. and internationally," said Donna Ruscitti, blog editor and chair of Porter Wright's Technology, Privacy and Data Security practice groups. • User-friendly alerts allow subscribers to receive full blog post content directly via email. • Additional posts are now easily viewable by clicking “older posts” at the bottom of the blog home page. • The enhanced Archives section allows readers to search for articles by topic, author name or date — and quickly scan all article titles. • Coming soon: Technology Law Source will publish downloadable e-books designed to provide a thorough understanding of hot topics and emerging issues related to IP, technology, privacy and data security. Readers can subscribe to Technology Law Source by entering http://www.technologylawsource.com/index.xml into a feed reader, or by entering their email address into the subscribe field in the left column of the Technology Law Source blog site. Porter Wright also publishes blogs on the topics of employee benefits, employment law, banking and finance, securities, nanotechnology and the oil and gas industry.